In this clear introduction to Deuteronomy aimed for preachers, pastors and Bible students, Paul Barker covers the major themes and issues of the fifth book of the Bible. Helpful study questions at the end of each chapter provide opportunity for discussion in groups. This integral Old Testament book comes alive in this very useful guide. In Deuteronomy we discover the rich theology of the God who keeps promises, for Deuteronomy is a book which encourages and persuades us to trust in a faithful God. 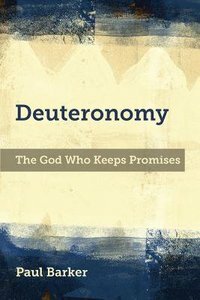 About "Deuteronomy: The God Who Keeps Promises"